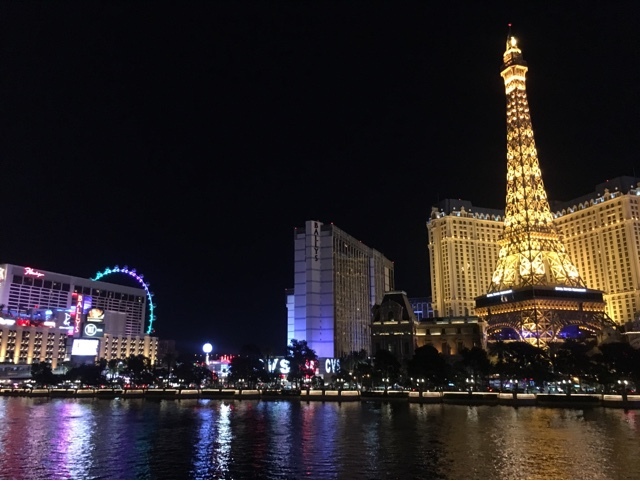 AMERICA DIARIES: BEHIND THE SCENES OF SHOT SHOW 2018! So once a year, the firearms community makes their way to the firearms Mecca that is SHOT Show, and through social media you guys get to see what the show has to offer the community, but what you don't see is behind the scenes of SHOT Show and what happens after show hours. There is SO much going on throughout the week and despite my best efforts I learned very quickly, it is absolutely impossible to squeeze every event in, but here's a small insight on what the industry gets up to after dark. 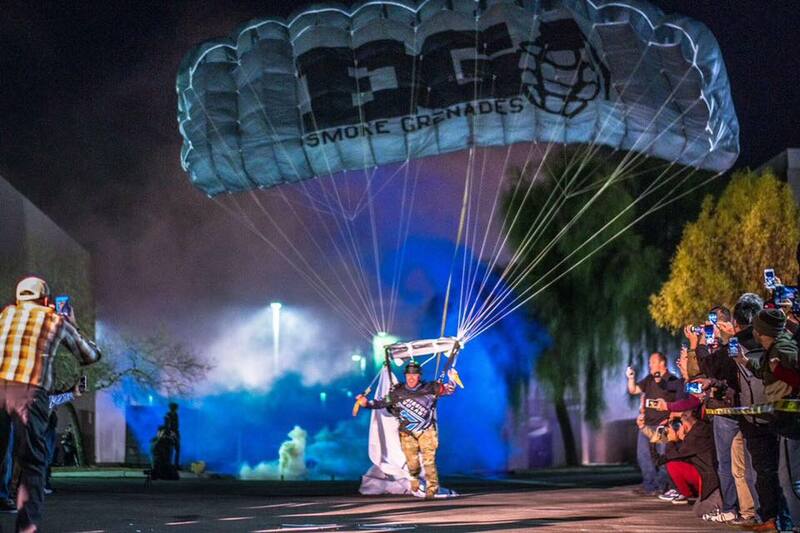 At 11pm, we were ushered outside for the main event of the evening, the Mission Volant Skydive! The party attendees lined up on both sides of the car park behind barriers waiting for the team of talented skydivers to jump from an altitude of 10,000 feet onto a tiny runway only indicated by spray-painted markings. As we looked into the night sky, we could see the tell-tale lights from the plane, and shapes darker than the night falling through the air at speed. As they came closer to the ground, the skydivers deployed their EG branded parachutes and Enola Gaye smoke was deployed for the landing. It was honestly, epic! On Wednesday, the airsoft media were invited by ASG to attend an appreciation dinner at the Grand Luxe Cafe in The Venetian as a thank you for our work throughout the year! 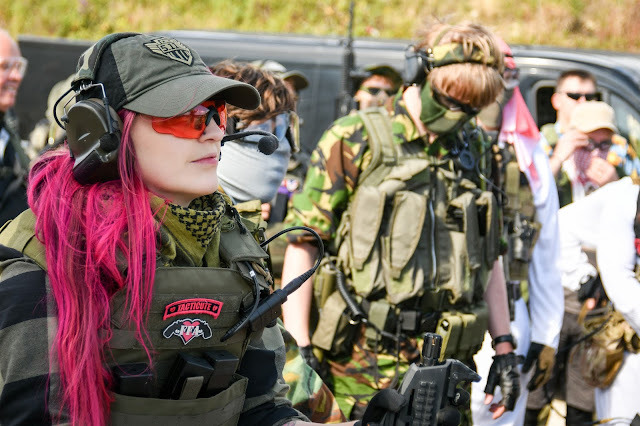 I attended on behalf of Airsoft Action alongside some of the biggest names in airsoft media. It was a fantastic evening of American food and good wine. *Note to self - the floors of the Grand Luxe are polished to the nines, must wear shoes with more grip next time! Unicorn Leah and I being all fancy! A huge thank you to Action Sport Games for hosting us! On the same evening (I told you the schedule was packed!) the airsoft media was invited by 101 Tech USA to attend an event at Top Golf Las Vegas, Top Gold is a driving range in the middle of the city that is lit up with swanky florescent lighting. Whilst at Top Golf we got to enjoy an evening of great company, drinks and have a crack at the driving range ourselves. What I learned from the evening is, do not attempt to stand on astroturf in 6 inch high heels *facepalm*, and that I am absolutely terrible at any golfing activity that isn't crazy golf! Thank you to 101 Tech USA for hosting such a great evening! AMS Bo showing us how it's done! Next up, is the Crye Precision party. The Crye parties are always legendary and always have super elaborate themes - this years theme was a roller derby/70s theme which meant the entire New Orleans arena was decorated in shagpile 70s print carpet with a roller rink on the outside. Quite honestly, I'm not entirely too sure where the party bus came from, whether it appeared out of nowhere or it actually came to pick us up specifically is a mystery to me (weird things happen in Vegas) but it picked us up from Top Golf at around 10am, and we arrived at the New Orleans Arena shortly before 11pm. The party was winding down by the time we arrived, but the attendees were still dancing on the retro florescent dance floor and spilling onto the shagpile carpet, on poles and of course whizzing around the roller rink. It was a pretty incredible sight. Thanks to Crye for hosting a hilariously awesome evening.